Importance of Visual merchandising cannot be ignored especially in turbulent times wherein the stores need customer footfalls in order to get sales. Visual Merchandising as we all know it as “silent salesman” in retail. 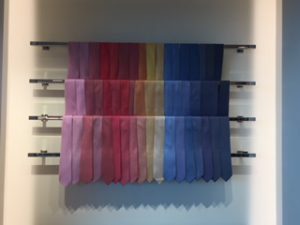 My article is in continuation to my earlier blog on the Visual merchandising which got an overwhelming response from my followers and connections. Importance of Visual merchandising cannot be ignored especially in turbulent times wherein the stores need customer footfalls in order to get sales and justify sales per sqm criteria. 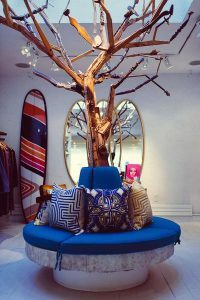 In this article, I shall highlight the importance of storytelling concept using visual merchandising. The foremost thing to remember is that people may not remember your advertising messages but they shall remember visuals if presented in a well-structured manner. That is the premise of Visual merchandising storytelling concept. Contrasting colors help customers to take notice by drawing their eye to the display. It’s not only bold colors that attract attention – a simple black and white display could generate customers’ interest. 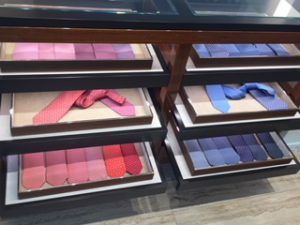 As per research study, hot spots can increase sales by 229%, retailers should pay attention to where the customer’s eye will be drawn to in their store. Successful visual merchandising should lead your customer to the items you want them to take notice of. Make your products the central part of your Visual story. creating focal points or hot spots in the store. We all know that almighty has given us the power to see, taste and smell and hear. Try to integrate these sensory powers in your visual story to create a long-lasting impact on customers. Smell is the first of our senses to develop in the evolutionary chain. 75% of our emotions are generated by what we smell. Researches have shown a 40% improvement in our mood when we’re exposed to a pleasant fragrance. A lot of perfumeries worldwide opt for sampling their fragrances using incense burners in order to entice consumers into their stores and setting a mood for them to shop. Music is another way to increase the power of your visual merchandising. Music helps to solidify the visuals of your brand and create the right atmosphere in your store. 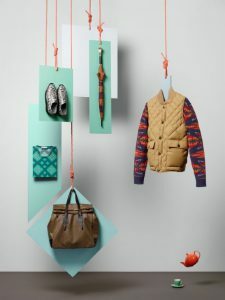 Visual merchandising using art as an art form to highlight the key products. This is most commonly seen in fashion boutiques and hi-end shops. Visual merchandising is indeed an art form. 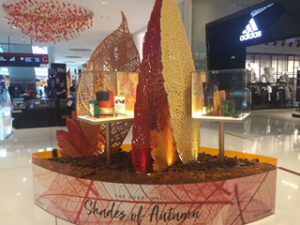 Recently malls in the Middle East are following this trend wherein they accentuate the seasonal theme into story telling format highlighting the products of their participating tenants thus providing tenants much needed support to push up the sales. These are some of the few Visual tricks to attract and engage the customers to your store. To end my article I would like to summarize the whole role of merchandising in retail including Visual merchandising with a video. Hope it would help you to narrate your retail story visually. If any of my readers need any assistance from me in terms of sales conversion and giving their retail business a boost, I can be reached on riteshmohan@yahoo.com for one to one catch up. I shall be more than happy to help my retail fraternity with my retail wisdom of over 2 decades. Ritesh Mohan is a passionate retail professional with over 20 years in the retail sector, handling some of the biggest brands in beauty, fashion and fragrances retail & FMCG sector. He has been instrumental in the growth of some of the regional brands as well in the Middle East region. He specializes in Retail management, Product development, Brand management, Retail Operations, Sales Management, and Business Management & believes in empowering business owners with his wisdom & experience of around two decades in the industry. Very good vibrated collective thoughts. thanks, Joe for liking the article.